VietPress USA (Feb. 12, 2018): President Donald Trump's daughter-in-law was taken to a Manhattan hospital as a precaution on Monday after after she opened an envelope of a letter containing an unidentified white powder that was sent to her apartment. 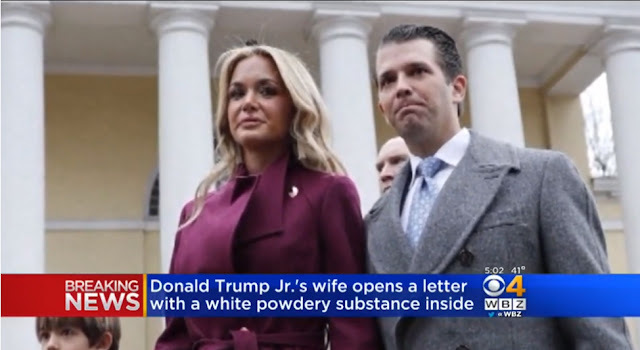 The letter was addressed to Vanessa Trump's husband, Donald Trump Jr., the eldest son of President Donald Trump and his ex-wife Ivana. 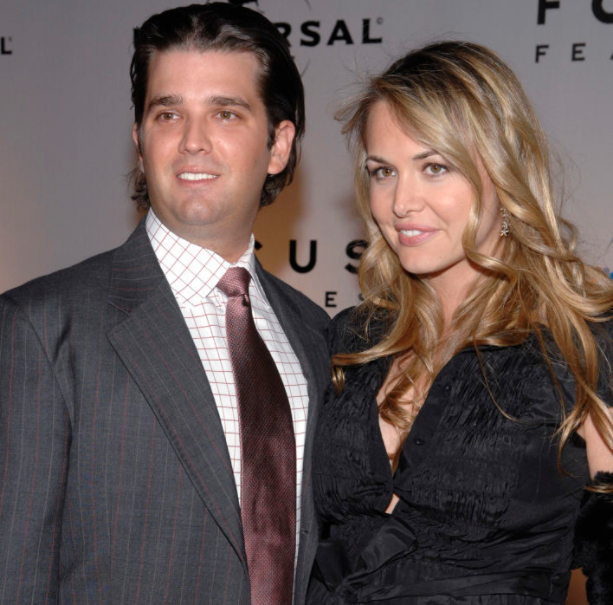 NEW YORK (AP) — Donald Trump Jr.'s wife was taken to a New York City hospital on Monday as a precaution after she opened an envelope addressed to her husband that contained an unidentified white powder, though police later said the substance wasn't dangerous, authorities said. The frightening episode happened after 10 a.m. when Trump, 40, opened the letter addressed to the president's son at her mother's midtown Manhattan apartment, investigators said. She called 911 and said she was coughing and felt nauseous, police said. "Thankful that Vanessa & my children are safe and unharmed after the incredibly scary situation that occurred this morning," Donald Trump Jr. wrote on Twitter. "Truly disgusting that certain individuals choose to express their opposing views with such disturbing behavior." Police said the envelope contained a letter but provided no other details. Secret Service Special Agent Jeffrey Adams said in a statement that agents were investigating "a suspicious package addressed to one of our protectees" in New York but said he couldn't comment further. White House spokeswoman Sarah Huckabee Sanders said Monday that the president spoke by phone to Vanessa Trump about the incident. The Trump family has had to deal with a number of similar scares. This story has been corrected to show the envelope was sent to Vanessa Trump's mother's apartment, not hers.